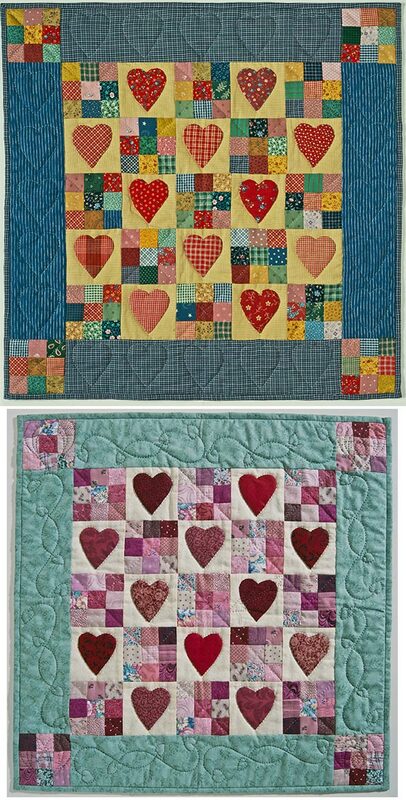 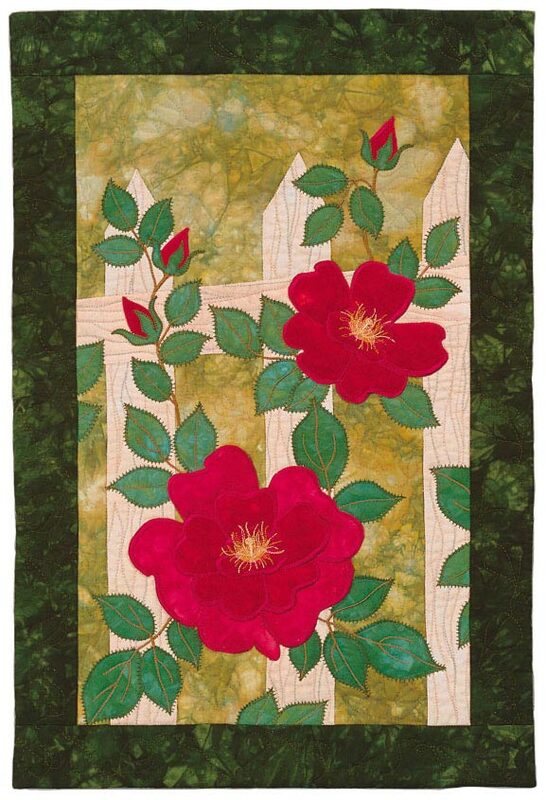 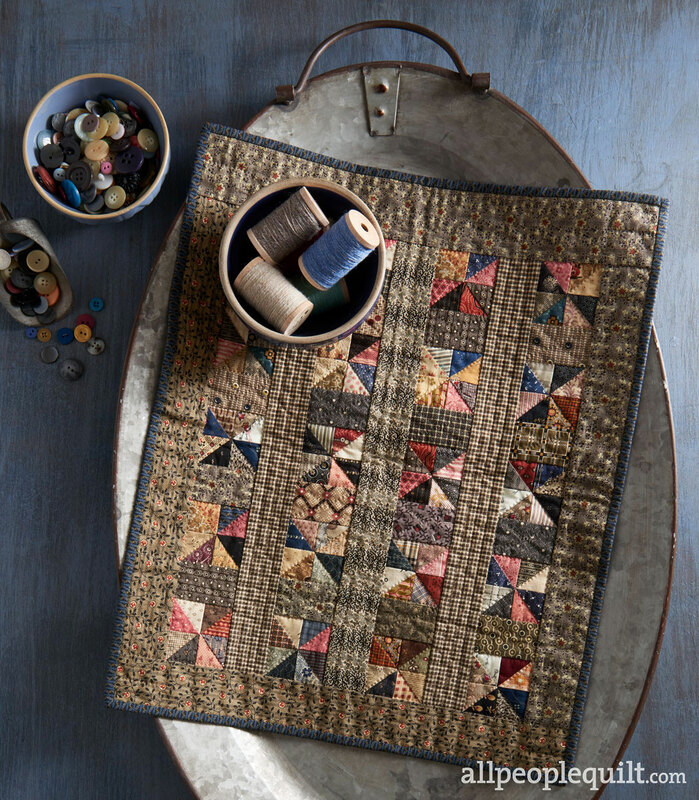 A whimsical scrap quilt combines fusible- applique_ and strip piecing, speeding each step in the assembly. 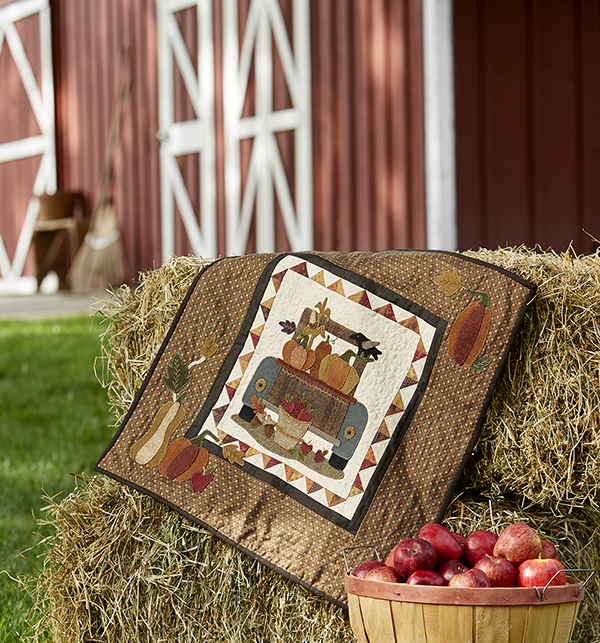 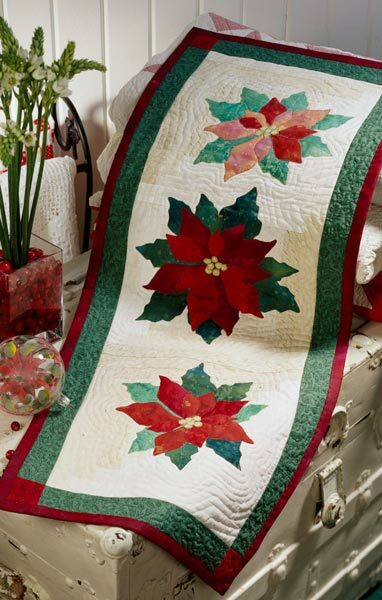 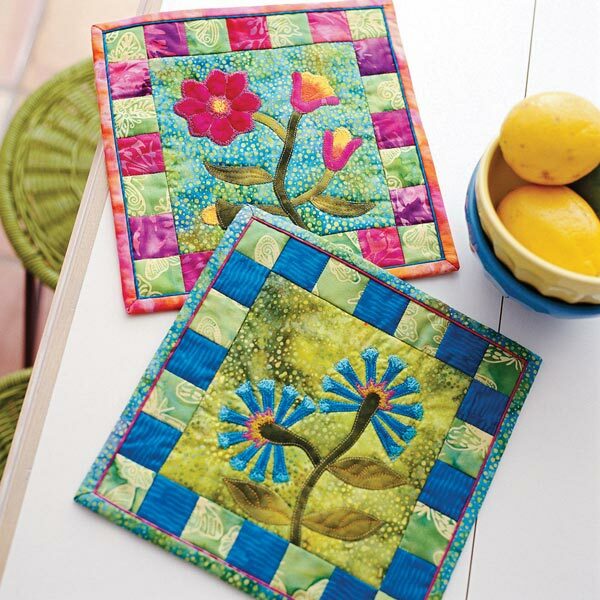 Finish the colorful appliques with blanket stitches, either by hand or machine. 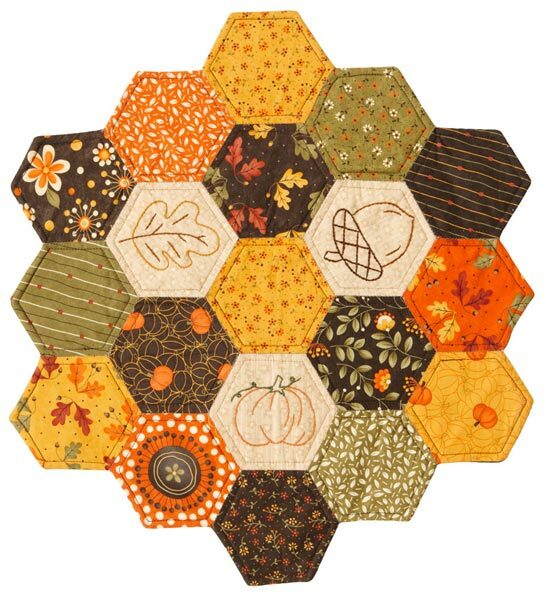 Finished quilt: 25" square. 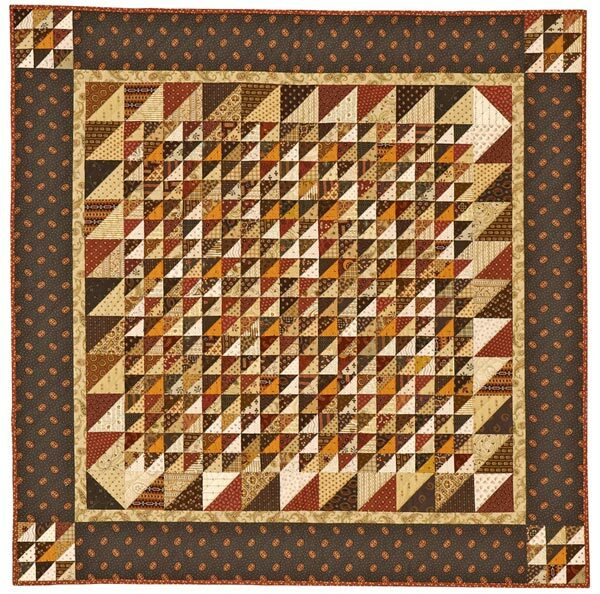 Finished block: 4" square. 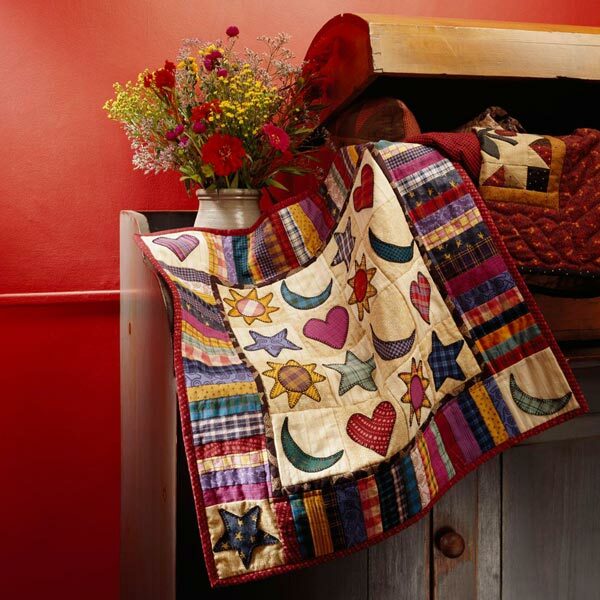 Designer: Judith Hughes Marte.